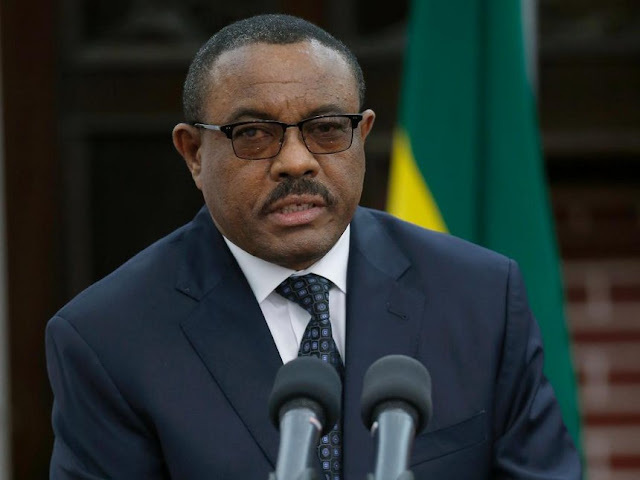 Ethiopian President, Hailemariam Desalegn, has resigned after deadly anti-governmment protests broke out in regions of the country, the country's state tv has reported. In an address that was televised, Mr. Hailemariam, who has led the country since 2012, said his resignation was vital to carry out needed reforms that would lead to sustainable peace and democracy. This comes after waves of demostrations swept the country's largest regions, Oromia and Amhara in recent months. The protests turned violent, leaving at least 10 persons dead and dozens wounded, with many in the opposition arrested. The latest confrontations were only a continuation of violent clashes that has broken out since 2015, and the unstability is a concern for the horn of Africa, which many observers believe holds the region together. Mr. Hailemariam will stay on as caretaker Prime Minister until the Parliament accepts his rsignation and choose a replacement.